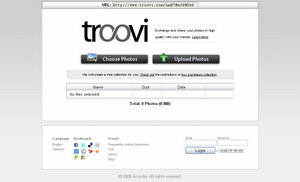 Troovi is probably the best and easiest photo exchange platform to share your photos in high quality. Try it by uploading your photos! It’s easy, secure and fast!